JB - I took your tip of foreground/background to heart. I had fun! Nice job on that page, Paul. I'm finishing up that "lab with stormy sea" page and then I was going to tackle the page after this one. I like Kitty's hair in that last panel. High praise, JB! I know you always hear 'thanks' but thanks! Thanks, Eric! Looking forward to your pages. Mark, I like the first one best. JB, here are some of my inks (I have more, but I don't want to flood the thread with my work). Any feedback or constructive criticism would be appreciated- thanks! I was hoping you guys would critique each other. Fewer Big Bad Byrne stories that way! Well, I certainly would welcome comments from everybody here (as well as provide my own if asked to critique someone else), but in a true effort to improve, I was hoping to hear if there's anything in particular you think I should work on. There is some nice stuff in here. I know a few things get lost when getting the pages to the 600 pixel width, but I can see where some things are headed. Line weights are the biggest thing that jumps out to me followed by making decisions about how to represent the image. The first page looks flat because the same line weight is used for every piece of technology. Decide what is closer and what is farther away from the viewer and vary the outlines of those pieces of equipment. 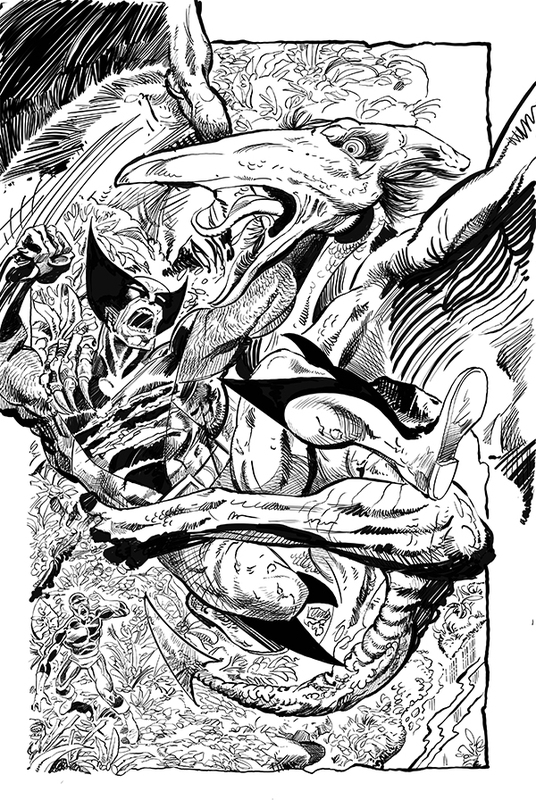 Look up some of JB's commissions with technology in them and see how he handles field of depth. 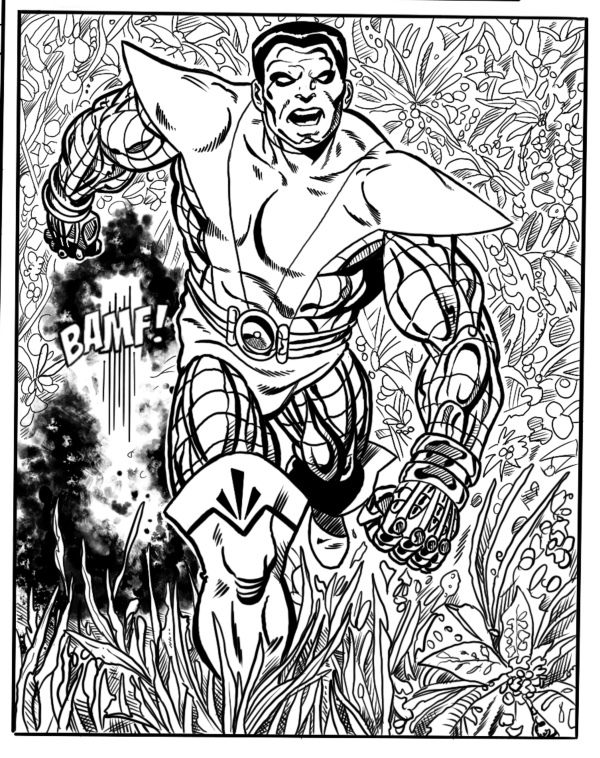 When inking fabric, you might want to make a decision about how to represent a shadow and stick with it. 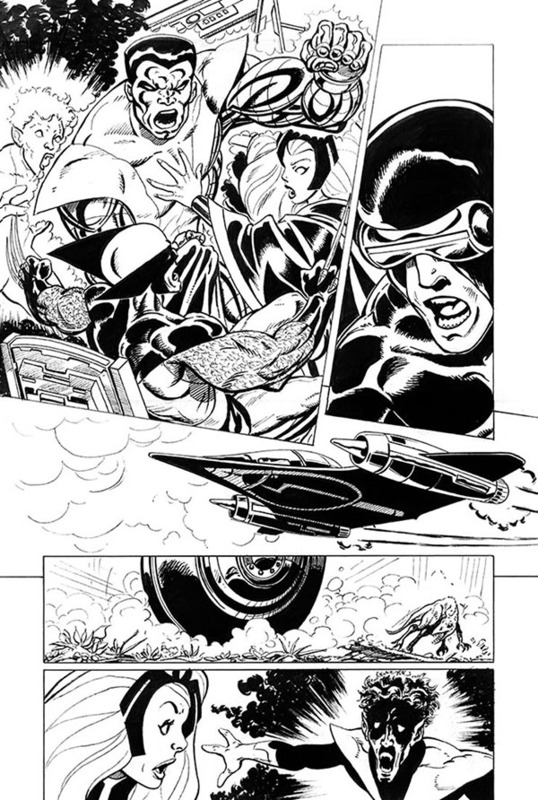 For instance, on that first page, panel three, Professor X has several different shading techniques to represent shadows on his coat; solid black with feathered edges, straight lines, and creases filled with feathering. 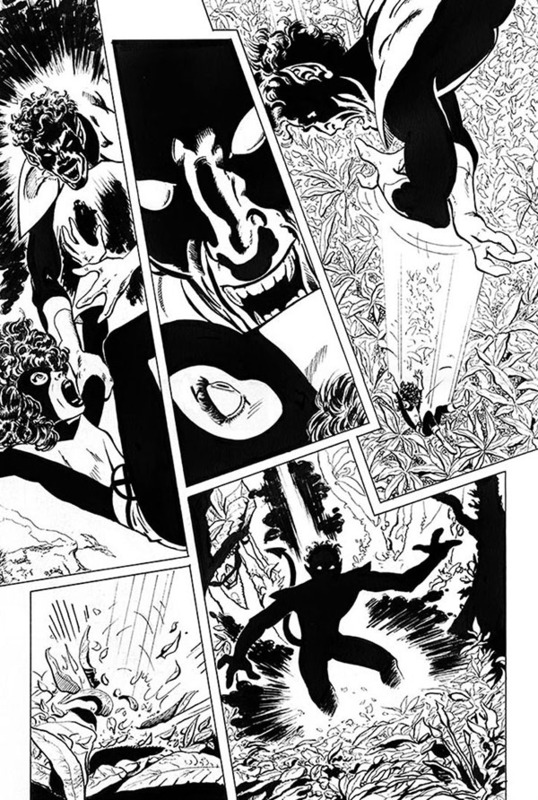 For Nightcrawler, there is a rather standard way of representing his smoke and brimstone when teleporting. JB has done two commissions that I can think of that show how he handles it. 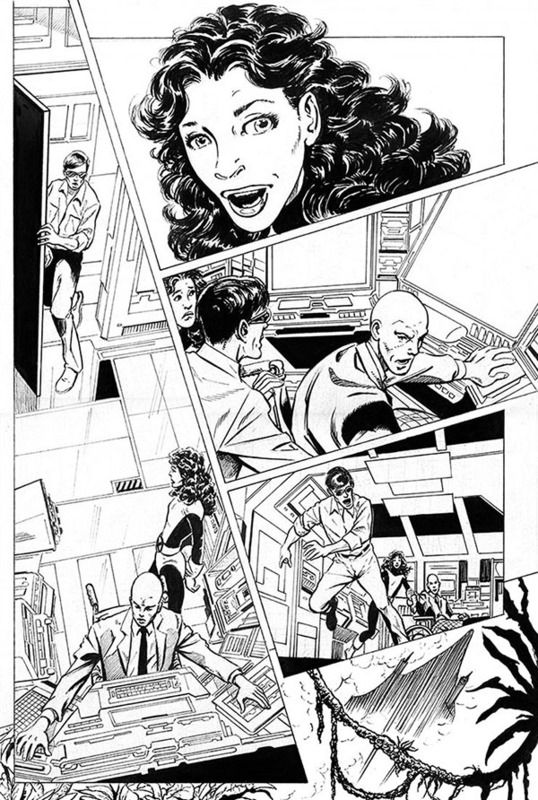 I suggest you compare what he has done in commissions to the pencils on your second and third page to "interpret" what he might be looking for with that effect. Ultimately, make a decision about how you will achieve an effect and stick with it. Then ask if the result enhances the work. Does the cloth look like cloth? Does the wood look like wood? Does the smoke look like smoke? Etc. Keep at it. Practice just makes you better. Hope this helps. Eric, thank you for the critique. Yes, it does help. I cannot argue with any of the points you made- definitely things to work on. Reminder: this thread is for ELSEWHEN inking only. Can't wait to post another - I picked out a page which I can't wait to ink (right after I finish up a current project). There are so many nice pages to choose from, it's hard to pick! I like it. It's flashy and it's making this project look real. Keep 'em coming guys ! Good work guys! 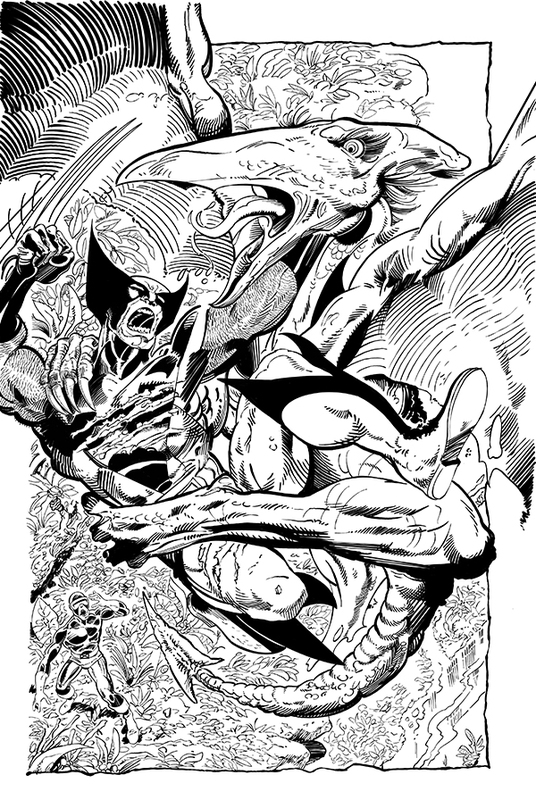 It's interesting to see everybody's take on John Byrne's pencils. If I never ink a piece a foliage again it will be too soon! It's Zen, dood! Send your mind away. . . 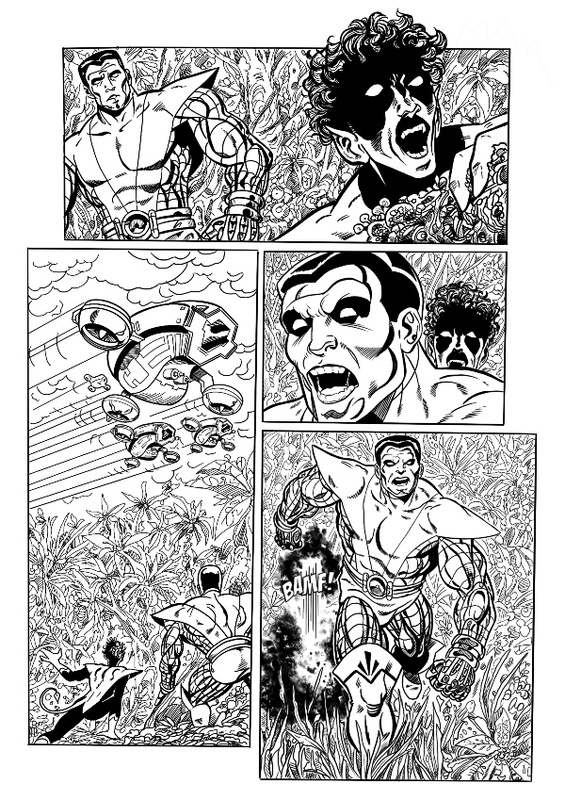 I particularly loved inking those chrome effects on Colossus and creating the smoke on the bamf. 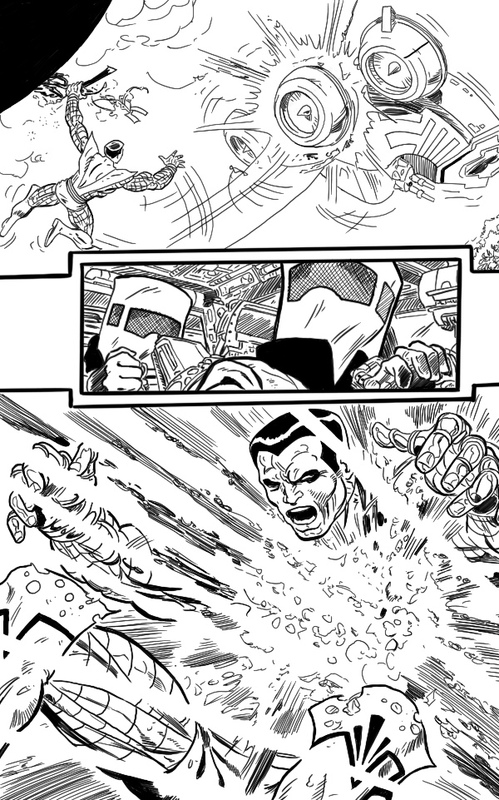 I expanded this panel so my fellow Byrne boarders can judge if I was successful. Really like the page, Mitch, although whilst I love the BAMF effect it does pull me out of the page slightly as it is stylistically different to the rest of the artwork. Nit picking though (and just my opinion) and only cos you mentioned it - I certainly couldn't do anything that what you have achieved. Out of interest, mindful of all that foliage, how long did the page take? I am scheduled for hand surgery that could have me out of commission for several months. I didn’t get to finish this, but I wanted to share the work in progress. And good luck with the surgery.